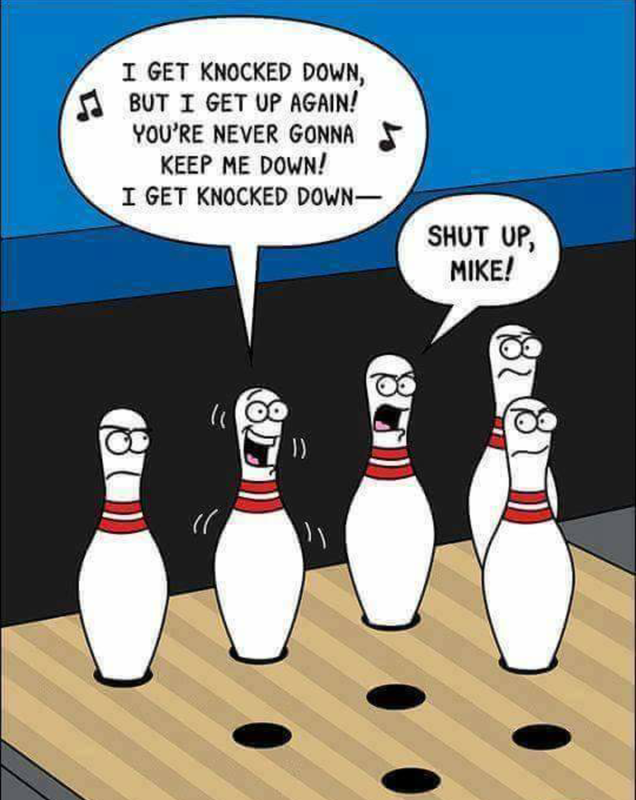 Life has a way of knocking you down at times but remember the knock down is never as great as the comeback! In 2 Corinthians 4:8-9 Paul said, “We are pressed on every side by troubles, but we are not crushed. We are perplexed, but not driven to despair. We are hunted down, but never abandoned by God. We get knocked down, but we are not destroyed.” In vv 17-18 Paul also said, “For your present troubles are small and they won’t last very long. Yet they produce for us a glory that vastly outweighs them and will last forever! So we don’t look at the troubles we can see now; rather, we fix our gaze on things that cannot be seen.” So the good news for today is ‘GET UP’ and don’t count God out!